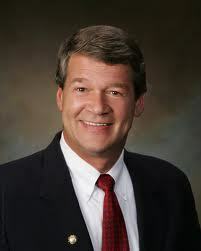 BISMARCK, N.D. (Legal Newsline) -- North Dakota Attorney General Wayne Stenehjem announced Thursday that his office has issued cease and desist orders against three unlicensed contractors for allegedly violating the state's consumer fraud laws. The three contractors, Thomas Lantto, doing business as Tom Lantto Builders; Jeff Lafountain, doing business as Gittr Done Construction; and Grant Nelson, doing business as Service Pro Plumbing Inc., were banned from doing business in the state of North Dakota. Stenehjem's Consumer Protection Division received complaints from consumers related to the contractors' alleged failure to properly complete home improvement projects. "Contractors who are unlicensed usually are more likely to take money and not do the work or not properly complete the work," the attorney general said in a statement. Lantto received a $12,000 advance deposit to build a garage. After allegedly failing to order any materials or apply for a building permit, he later refunded the deposit. He has since left the state. Lafountain received $8,994 from a consumer to fix a roof, but he allegedly failed to properly complete the repairs. Nelson received $40,825 from three consumers to install heating and cooling systems and repair sewer lines, but he allegedly failed to properly install the appliances or finish the projects. He also was criminally charged in McKenzie County with 19 counts of failure to have a plumber's license. Stenehjem noted that none of the three contractors cooperated with his office.